A new Carrie Underwood Almay association has just hit the beauty-news world. The cosmetics brand announced this morning that country music star Carrie Underwood is now the face of Almay. Word is that when she was approached by Almay, Carrie Underwood revealed that she was in fact already a longtime user of Almay Smartshade foundation. And it turns out Smartshade is the first campaign in which she&apos;ll be appearing. Serendipitous, right? The official Carrie Underwood Almay connection is new, but the singer is no stranger to beauty-brand relationships. Her nail polish collaboration, the Nicole by OPI Carrie Underwood collection, launched this month. And in 2010, Carrie was an Olay celebrity brand ambassador. Oh, and in 2013, Carrie was "the top earning American Idol alumni." Carrie Underwood via Redbook, Dec 2013 So wholesome, with simple eye makeup, glowing skin, groomed brows. 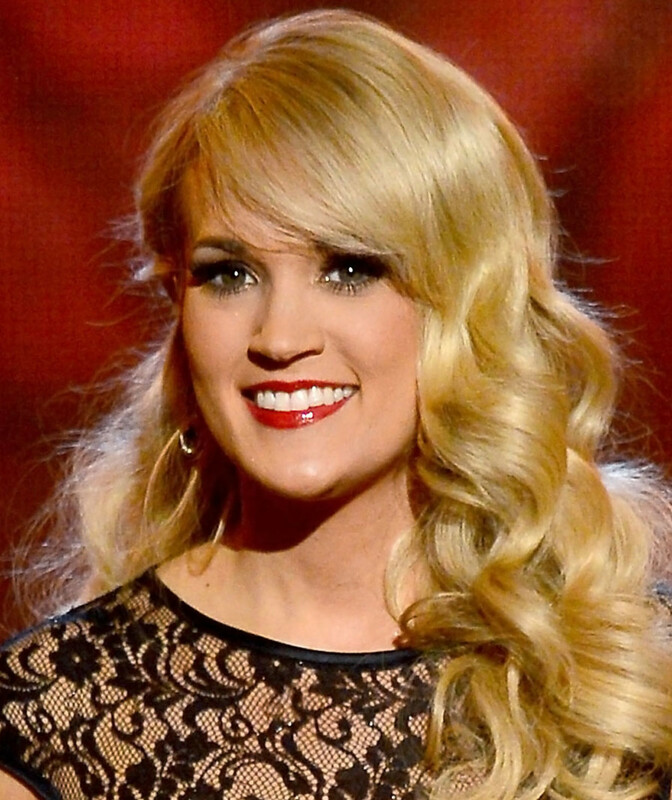 Carrie Underwood at the Country Music Awards, Nov 2013 I call this "country-music hair and makeup." Such defined brows with those strip lashes and all that matte-ness with that hair... it&apos;s also a bit "beauty pageant." *shrug* Perhaps if the hair were looser and the skin less matte, the look would be a bit more youthful, a bit fresher. 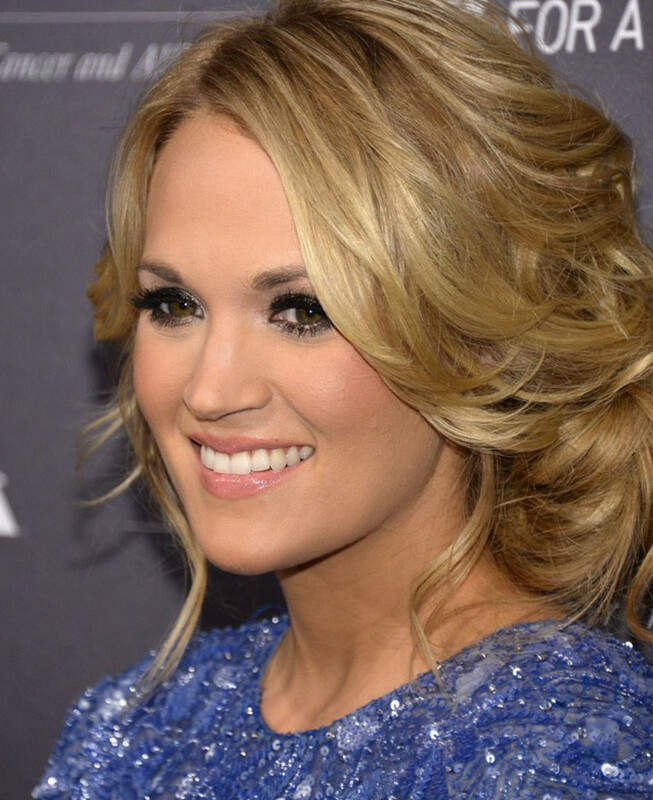 Carrie Underwood at the TJ Martell Foundation Gala, October 2013 So much foundation on young skin. But for some reason this is a bit more appealing than the CMAs look. Maybe it&apos;s the looser, more textured hair. Carrie Underwood via Women&apos;s Health, October 2013 Love! Adorable, young, fresh, glowy, with a soft smoky eye. That makeup could work on a red carpet too. Carrie Underwood at the Emmy Awards, September 2013 Smudgier dramatic eye makeup than for the CMAs, though still country-music makeup. Pretty eyes. 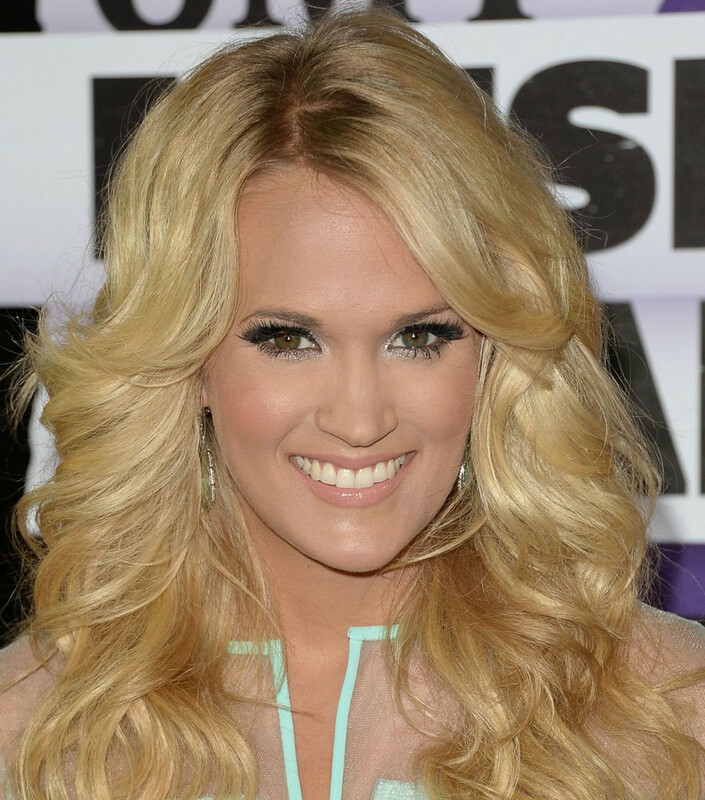 Carrie Underwood at the CMT Music Awards, June 2013 Performance makeup, I think -- Carrie performed at these CMAs. Same makeup as below, but different lighting and hair. See more from the first Carrie Underwood Almay campaign here, at E!Online.com.